Amy brings over 25 years of experience in nonprofit development and community-based public health. Currently the Executive Director of the Michigan Ovarian Cancer Alliance (MIOCA) and in her previous role as Executive Director of GrieveWell, Amy has developed a special interest in supporting the development of emerging nonprofits, institutionalizing systems and activities, and working with the board and staff to expand their impact. Amy brings to this work a background in Public Health, having spent more than 15 years at the University of Michigan’s School of Public Health, where she helped build the Center for Managing Chronic Disease. 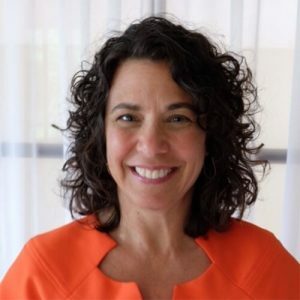 During her tenure at the Center, Amy led several national, multi-site projects with a particular emphasis on the development and implementation of community-based public health initiatives, collaborative evaluation, partnership development, training and technical assistance, and group process and facilitation. Prior to coming to Michigan, Amy held leadership roles in nonprofit organizations in New Orleans and Washington, D.C, where she worked on local, national, and international projects that addressed issues such as infant mortality, refugee empowerment, and development of the nonprofit sector in war-torn countries. Amy holds a Bachelor’s Degree from Brandeis University and a Master of Public Health from Tulane University, New Orleans.